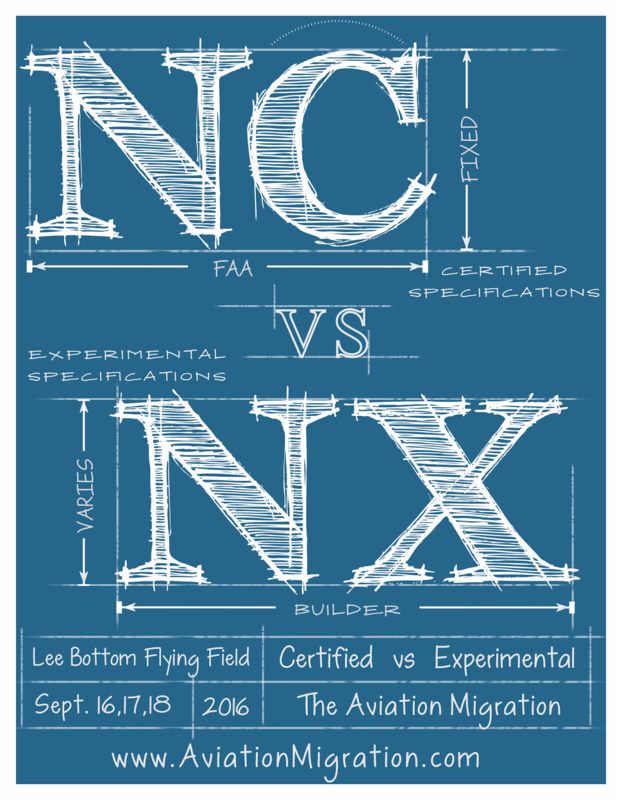 Announcing the 2016 Lee Bottom Fly-In Challenge - NC vs NX. You've seen WACO vs Stearman and Champs vs Cubs, but this time it's something much bigger. 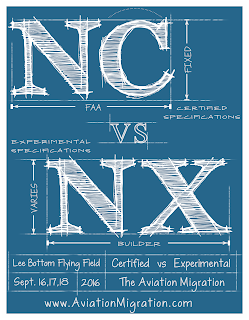 The ultimate aviation question will be put to the test at this year's event - CERTIFIED vs EXPERIMENTAL. Some have called it AOPA vs EAA, others have said it follows political lines, pro-government vs freedom from government, and a few have said the exact same thing about the other, "Who would want to deal with all the hassles of a (insert certified or experimental here) plane?" Whatever your opinion, there's a way for you to participate. 1. T-shirt sales - 1 point possible. 2. The People's Choice Payoff - 2 points possible. A tie is decided by coin toss, with at least three witnesses, on Sunday. 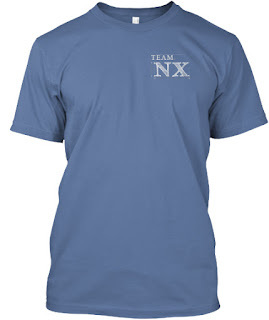 Once again, t-shirt sales will be part one of the challenge. 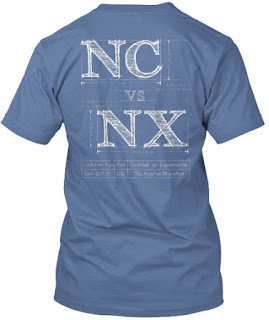 Go to this link and buy a shirt to support your team; Team NC or Team NX. The team with the most t-shirt sales wins the first part of the challenge and gets one point. Additionally, with a purchase of a shirt you get a bonus. Buy a shirt, wear it to the event, and get in free. The second part of the challenge is the People's Choice Payoff. There will be two jars at the fly-in operations tent marked Team NC and Team NX. The jar with the most money in it at the end of the event wins the second part of the challenge. If the team winning this part of the challenge wins with more than twice the amount of the losing team, their win is worth two points. Note: All funds raised by this part of the challenge will go to The Lee Bottom Aviation Refuge, a 501C-3. The third part of the challenge comes down to the category with the most aircraft on hand during the weekend. When you land, be sure to put your N# and category on the board. When Sunday rolls around, we'll count the totals and the group with the largest total wins this part of the challenge. The overall winning team is the one that has the most points at the end of the challenge. As you can see, we've made it so you can participate even if you cannot make it. Additionally, the team with a weak showing can buy their way to a tie if they didn't win the t-shirt part (proceeds going to non-profit). If this were to happen, the tie would be broken with a coin toss on Sunday. That said, a t-shirt win gives you a clear advantage for the overall challenge. Head on over to the page and pick your team. The winners will receive the grandest award of all, BRAGGING RIGHTS. That's right, winners will be able to talk unlimited amounts of smack about the other team and will go down in history as the winner of the final Lee Bottom Challenge.